'Cello Bae' Sheku Kanneh-Mason Wins Worldwide Fans After Royal Wedding : Deceptive Cadence Watch the moving performance from 19-year-old award-winner during the wedding of Prince Harry and Meghan Markle. 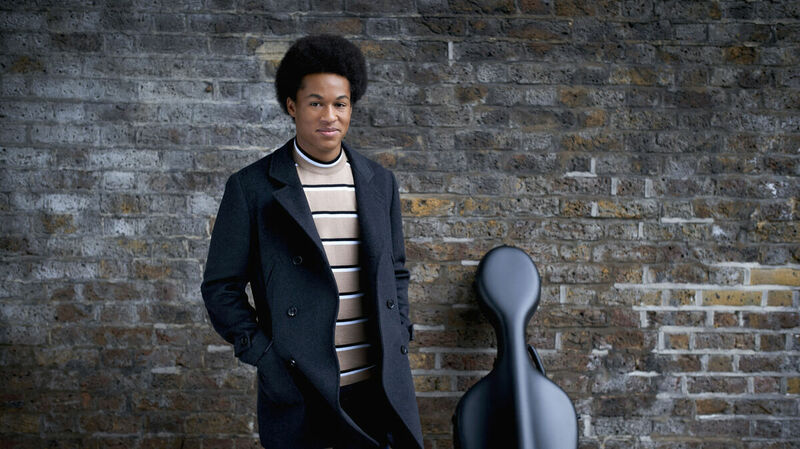 Cellist Sheku Kanneh-Mason's performance during the royal wedding stood out as a highlight for music fans. The British-born, 19-year-old prodigy Sheku Kanneh-Mason was a standout at the wedding of Prince Harry and Meghan Markle this weekend. Kanneh-Mason performed three pieces during the ceremony, as the Duke and Duchess of Sussex signed the register (out of view of guests and cameras) just after their exchanging of vows. Kanneh-Mason performed Maria Theresia von Paradis' Sicilienne, Gabriel Fauré's Après un rêve and Franz Schubert's "Ave Maria." But, where "Ave Maria" is a well-known classical standard, the selection of von Paradis' Sicilienne is considered a "deep cut" from a female contemporary and acquaintance of another genius — Mozart. The performance of Kanneh-Mason, who was the first black musician to win BBC's Young Musician of the Year Award in 2016, served as one of the many non-traditional moments on the wedding's musical lineup. During the ceremony, The Kingdom Choir performed Ben E. King's "Stand by Me" and, as it ended, a rendition of "Amen/This Little Light of Mine" by Etta James. "The atmosphere was amazing and I'm proud to have played a small part in the celebrations," Mason tweeted out on May 20, a day after the career milestone. "It's a day I will remember for the rest of my life."